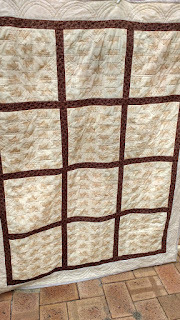 I hadn't ever attempted a Quilt As You Go (QAYG) before and since that is the method that a friend and I are using for a sampler quilt we're teaching a group of complete novices to patchwork and quilting, I thought I'd better give it a go. This is the final result, but I thought I'd also mention some of the aspects I discovered doing this method. And this post has a few photos, just so you know. 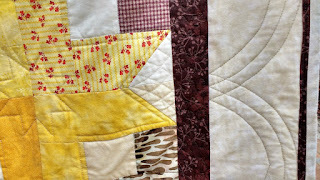 I found the process of creating the blocks themselves and then quilting them, to be a very easy one. It was lovely to just be putting a 12" square underneath the needle rather than sometimes wrangling a much larger beast around the table. 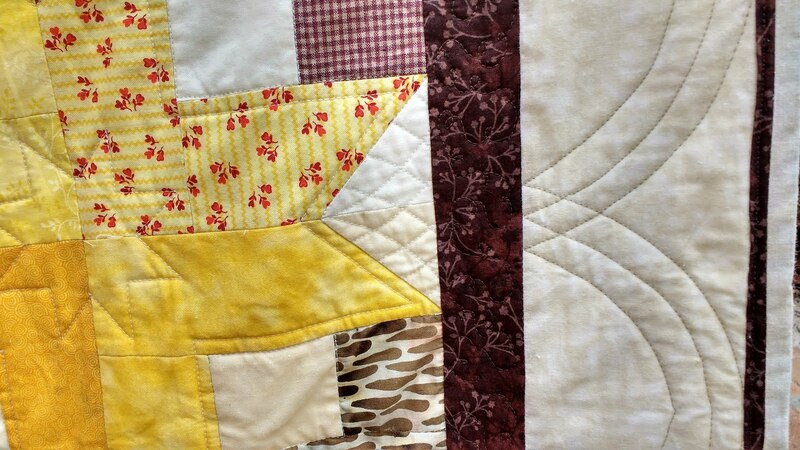 I did just a simple star in the centre, and also echoed the block shape towards the edge. Doing the crosshatching in the background areas was SO easy to maneuver around. The process of putting on the sashings was OK too, although I don't remember ever being stabbed so much by pins as I seemed to during this stage of the process. 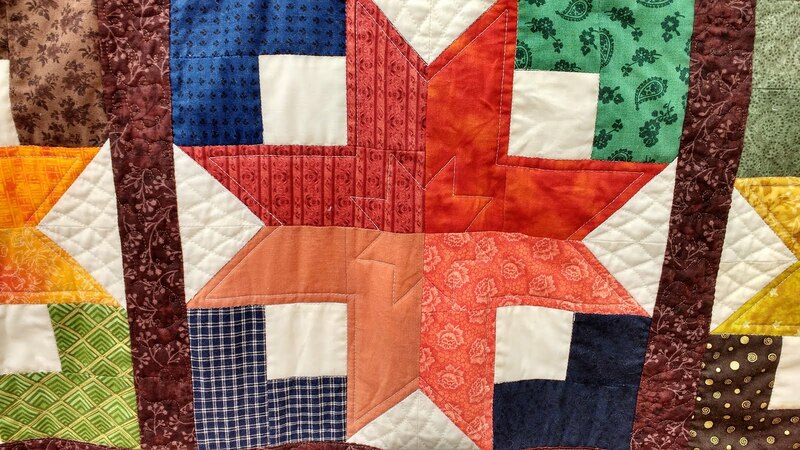 Then I added a final border because the quilt seemed to need something added to it, with cornerstones to link with the backing. And finally, I did some very simple arches that linked with the cross hatching where they met. 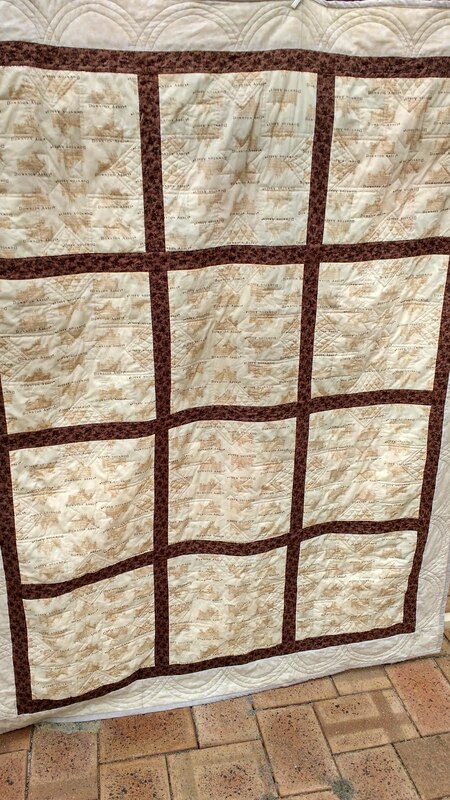 I wondered about doing some pebbles in the centre arch, but by the time I'd added the two-colour/accent binding I felt done with this quilt. I may have to wait for the dust to settle before I decide whether I'd do another QAYG. There are certainly some pluses, but I know I have another top just waiting to be sandwiched and it won't take me the time that this one seemed to! And adding that final border meant that I did still have quite a bit to wriggle around the machine and table as I did those arches. Still, I'm happy with the result overall. Not sure if this one is destined for my neighbour (she's been our neighbour for about 17 years and a lovely one at that, but best find out if she's a 'Downton' fan first!) or elsewhere. 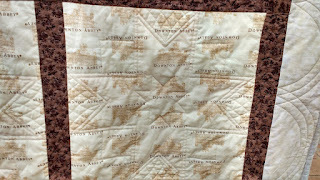 Labels: Quilt as you go; scrap quilt; sashing. I've always been so curious about the quilt as you go method. But very hesitant too. Thanks for your post. It helps to see others thoughts on the process. Thanks Cathy, it's certainly worth trying, I think I should give it at least one more go - and maybe it's good in certain contexts, but not all. I've never done QAYG either, but I can see the advantages, in fact I'm starting to get an idea in my head. Great post, good to have your views on it, although I may have to buy a book on it, not that I buy many books normally of course (hysterical giggles). Look forward to see what you come up with Kate. You and others may enjoy Leah Day's You tube clips on QAYG, she's very helpful! Lynn! 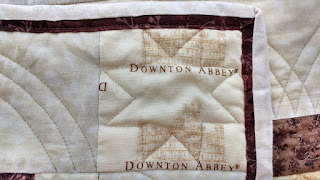 You did a terrific job on those quilted arches! LOVE. Must remember that motif. 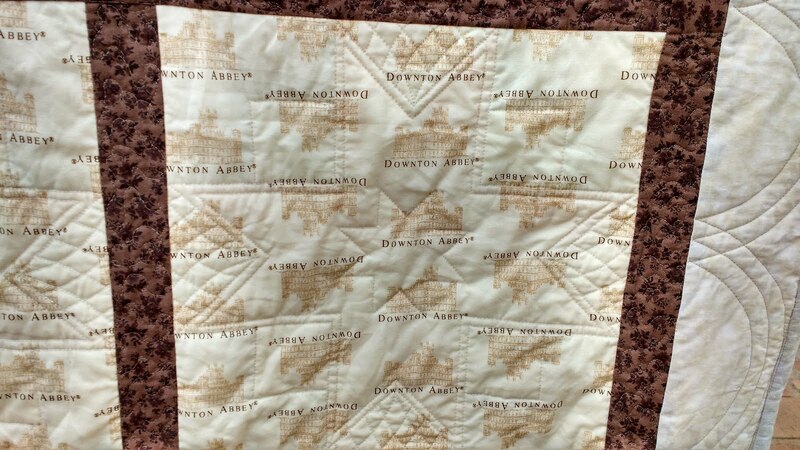 I love seeing the Downton Abbey fabric actually IN a quilt back; you see I have a bunch for my DA quilt...just needs me to get the front done...I totally hear you on the QAYG. It's okay, but it does have its own issues too. Your Boxy Stars look wonderful! 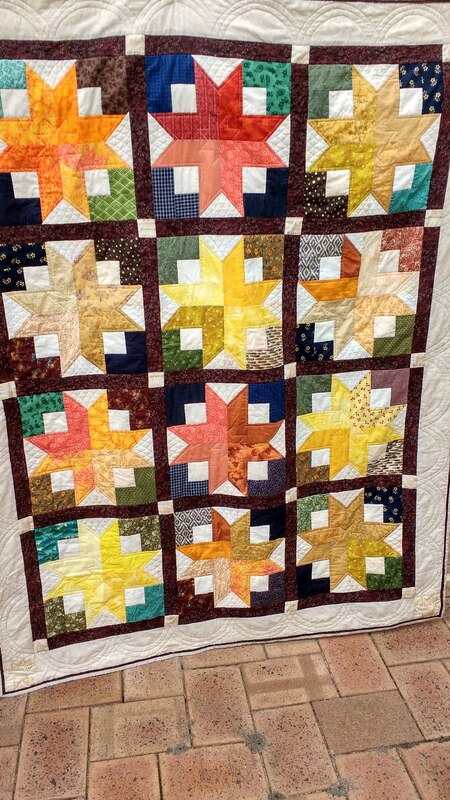 I've made one, but I don't think I'd be brave enough for the quilt as you go method. I like how you customized it and the backing is perfect.